Hill 60 was the last offensive action fought by the New Zealanders during the Gallipoli campaign. The ‘abominable little hill’, as it was dubbed by Brigadier-General Andrew Russell, saw bitter fighting between New Zealand mounted riflemen and Ottoman troops in late August 1915. Following the failure of the Sari Bair offensive at Anzac, the British switched their attention northwards to Sulva, where they launched an attack on the Anafarta Ridge. 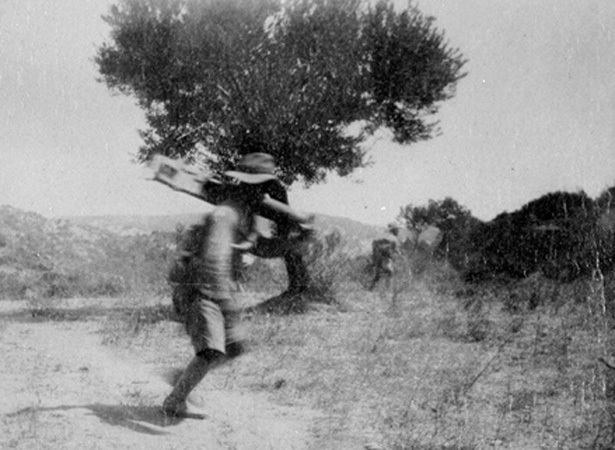 New Zealand troops supported this operation with an assault on Hill 60, a small piece of Ottoman-held high ground between the two Allied-held areas. With his units severely depleted after Sari Bair, ANZAC commander Lieutenant-General William Birdwood cobbled together a composite force of New Zealand, Australian, British and Gurkha troops for the Hill 60 attack. New Zealand’s contribution consisted of some 400 Canterbury and Otago mounted riflemen, who were fighting at Gallipoli without their horses. The first attempt to take Hill 60 on 21 August failed. Allied planners underestimated the strength of Ottoman defences and the attack quickly broke down. Although New Zealand and British troops managed to capture part of the Ottoman trenches on the southern and north-western sides of the hill, nobody else got as far. The attack cost over 2000 casualties, including 200 New Zealanders. British attacks at Suvla also failed. Six days later, the remnants of the New Zealand Mounted Rifles Brigade — around 300 men — took part in another attempt to clear Hill 60. After two days of bitter fighting, the hill remained firmly under Ottoman control. Once again, casualties were heavy. Hill 60 had effectively destroyed the New Zealand mounteds as a fighting force. British historian Robert Rhodes James later wrote that 'For connoisseurs of military futility, valour, incompetence and determination, the attacks on Hill 60 are in a class of their own.' The 182 names on the Hill 60 (New Zealand) Memorial to the missing in Hill 60 Cemetery are testament to this. We have 21 biographies, 40 articles, related to New Zealanders attack Hill 60.